An evening at the world-famous Santa Fe Opera is about much more than just the show. Thanks to the theater’s open-air adobe design, Santa Fe’s splashy sunsets and endless night skies serve as the backdrop to the opera’s five seasonal productions. Does it get much classier than that? The answer is yes. 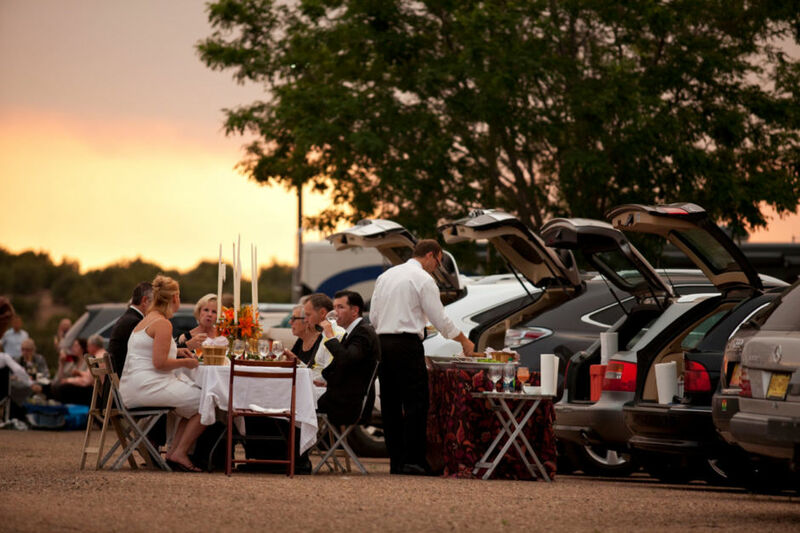 Before the curtain even rises, you’ll find many opera-goers tailgating in the parking lot. And, as you can probably guess, this is unlike any tailgating you’ve experienced elsewhere. We’re talking attendees dressed in their evening best, hosting their own pre-show parties with champagne and hors d’oeuvres. White gloves optional. Santa Fe is a city with art in its veins, and perhaps the main-line artery is Canyon Road, which has become an international destination both for collectors and art enthusiasts of all kinds. It’s a nearly mile-long stretch of adobe houses, 100+ art galleries, cafes, restaurants, and shops, and it’s the perfect place to wile away an afternoon admiring artwork and chatting with artists and curators. Pro tip: It’s not all about art (though it’s mostly about art): Hit up Milad Persian Bistro, Caffe Greco, or The Tea House when it’s snack time. If there’s one thing Santa Fe bartenders know, it’s how to shake up a good margarita. Exhibit A: There’s an entire trail dedicated to the drink, and you can try 31 of The City Different’s best salt-rimmed libations along the way. Tell your friends you’re “hitting the trail” every day in Santa Fe…because you are. Exhibit B: The app. It highlights all the margarita hot spots around you, includes awesome recipes, and keeps track of your rewards. For each (locally) famous margarita you drink, like the Chimayosa Margarita at Low N Slow or the Tequila Mockingbird at Derailed at the Sage, you’ll get a stamp in your Margarita Trail Passport (and in the app), earning rewards like t-shirts, a full bartender set, and membership into the exclusive Margarita Society. It’s a tough job drinking that many margaritas, but someone’s gotta do it. Chile hot chocolate like the Aztecs used to drink? Whiskey flavored with piñon nuts? Local makers are always looking for ways to experiment with ingredients and tastes pulled from New Mexican soil. You can go nuts with chile and other goodies at the Santa Fe Farmers Market, visit the Gruet Tasting Room to drink a selection of their sparkling wines, or try apple brandies and whiskies either on the rocks or in cocktails at Santa Fe Spirits. And if you’re a chocolate lover, stand at attention. 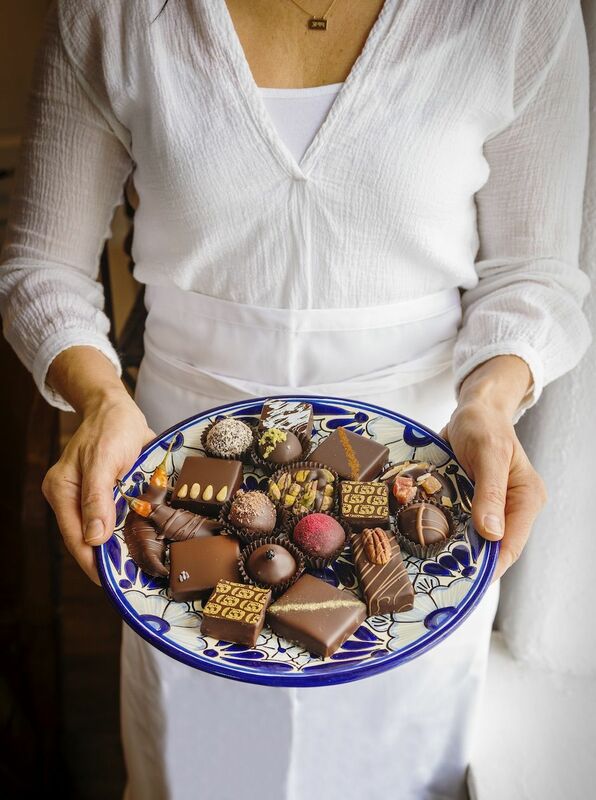 Head to Kakawa Chocolate House for a taste of their historic chocolate elixirs, and then hit up Cacao Santa Fe for gourmet chocolate bars and truffles made with flavors like prickly pear or red chile. When they came to New Mexico, the Spanish brought more than Catholicism and wine — they brought flamenco. 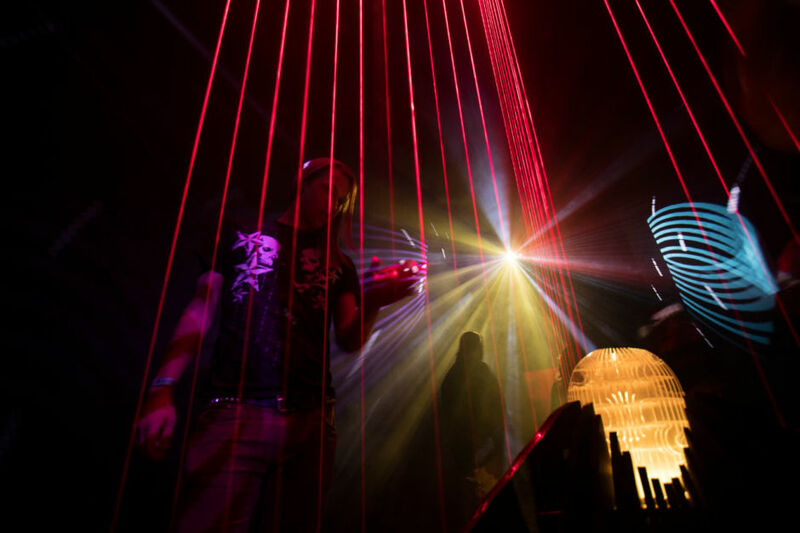 The tradition took root at nightclubs and fiestas, and now the city is a renowned hotbed for the art form. 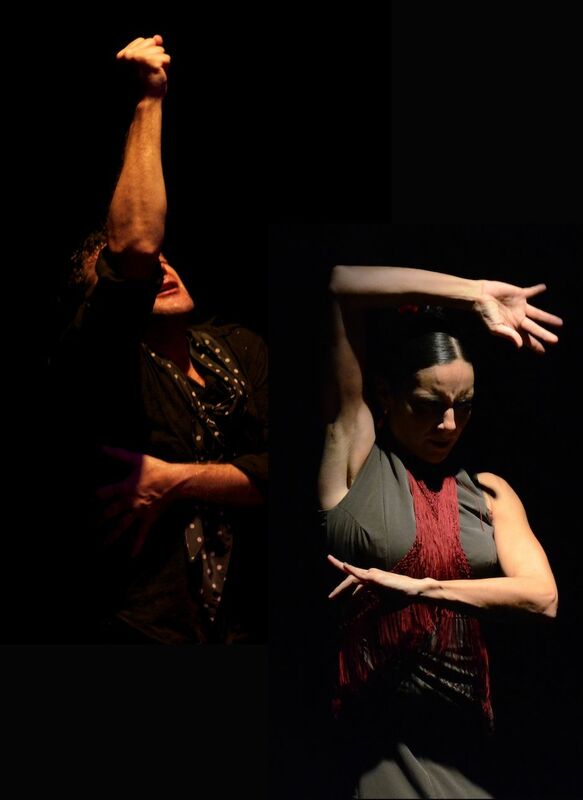 You know you’re in good hands when you’re taking in a show at venerated local venues like El Farol or El Flamenco for an evening of sultry dance and strumming guitars. These places have been flamenco-ing for ages, making for a scene you really can’t find anywhere else in the US. Santa Fe is also home to a thriving and eclectic modern music scene. 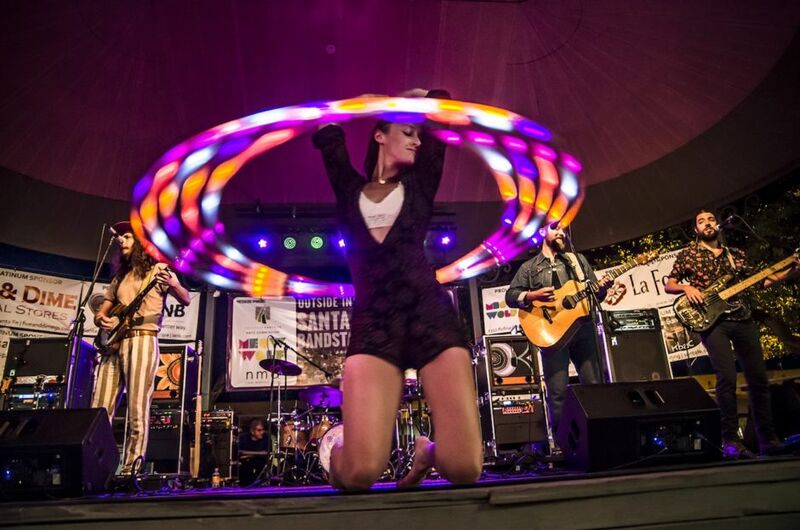 For proof, check out the annual Santa Fe Bandstand on the Plaza, where local acts — ranging in style from opera to country to funk — come out to perform, drawing huge crowds that pack the square on warm summer evenings to dance along. Events are inexplicably free, and there’s something going on almost nightly from June 21 to August 11. This year, Santa Fe will be hosting its first ever Music Week from August 24 to September 3, with concerts happening all over town — namely at the Santa Fe Opera, The Lensic, and downtown bars and restaurants, in addition to the Bandstand on the Plaza. 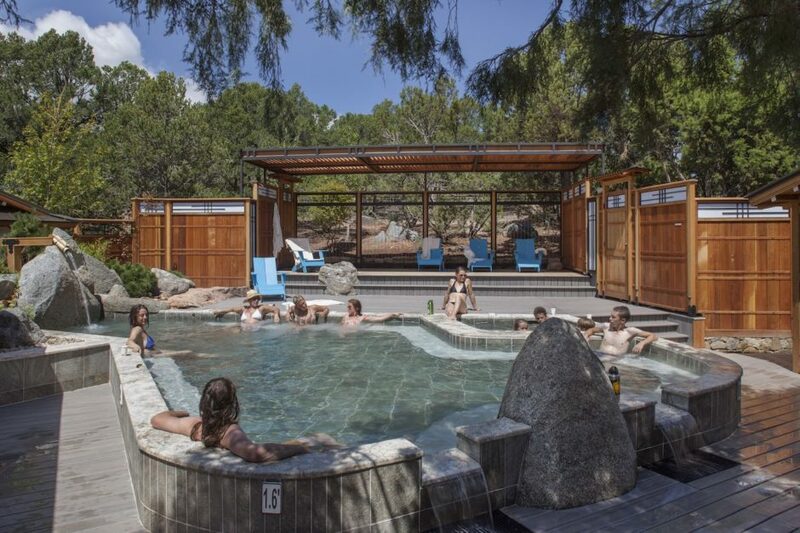 Spiritualists, healers, poets, yogis, aura readers — they all flock to this corner of New Mexico, long regarded as a “spiritual vortex.” That’s hard to prove one way or another, but having a Santa Fe spa day sure is a good excuse to seek out the city’s healing energies. Here are just a few ideas: At Ten Thousand Waves — a secluded spa built in traditional Japanese style — an average day includes specialty massages, facials, herbal treatments, and the chance to soak in eight separate open-air hot tubs. The Spa at Loretto offers couples’ astrology, reiki, cranial sacral therapy, chakra balancing, and intuitive readings, in addition to traditional faves like hot-stone massages and water treatments. At Nidah at Hotel Eldorado Hotel & Spa, the “Spirit of Heritage” treatment is a journey of balance, using techniques from the Puebloans. You may not walk away having found a vortex, but you’ll be too relaxed to notice. 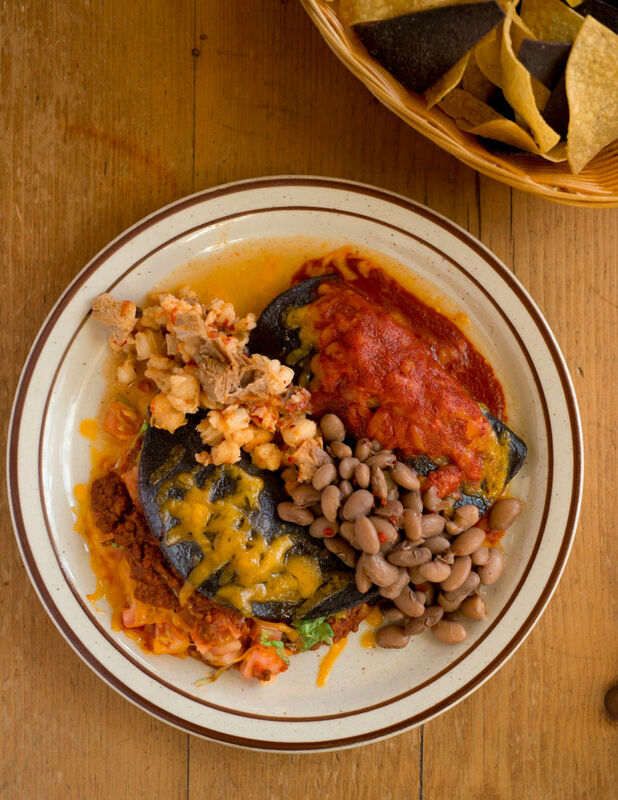 Chile is one of the cornerstones of New Mexican cuisine (the entire month of September is chile month), and once you’ve had your first bite of green chile stew or Christmas — red and green chile — enchiladas, you’ll be jonesing for more. Thanks to its small size and ever-increasing network of bike paths, Santa Fe is a super easy place to explore via bicycle. And in summer? The weather is fantastic (just bring your sunscreen). A great place to start is downtown, where you can rent a bike from a local outfitter like Mellow Velo or Broken Spoke. Hit the trails to check out the Plaza, the Railyard, Canyon Road, Museum Hill, and, if you’ve got nothin’ but time, the neighborhoods of adobe casitas alongside the Santa Fe River. If you’re a Westworld buff and relish the idea of visiting a frontier town in its heyday, you’ll love El Rancho de las Golondrinas (okay, there are no robots or James Marsden, but it’s still great!). This living history museum — located on the actual Camino Real and dating back to the 1700s — recreates life as it was lived in tiny Southwestern settlements of the 18th and 19th centuries, complete with actors in period garb and demonstrations of skills like blacksmithing and weaving. During the summer and fall, the ranch also hosts tons of festivals — events like the Santa Fe Wine Festival, the Santa Fe Renaissance Fair, and the Harvest Festival will get you here if nothing else does. Where else but Santa Fe can you say you entered an alternate dimension through a washing machine?! Created by local art collective Meow Wolf, this interactive funhouse — known as the House of Eternal Return — tells the story of a family whose Victorian home was at the center of an inter-dimensional event. It caused parts of the house (like the chimney and the fridge) to connect to all sorts of places throughout space and time, such as a psychedelic rainforest, outer space, and the inside of a fishbowl. Or something like that. Alive with sights, sounds, and endless nooks and crannies, a day spent exploring here is sure to expand your mind — and then you can come back at night to the real world for concerts and parties. At least, the real world in a place as alive as Santa Fe.